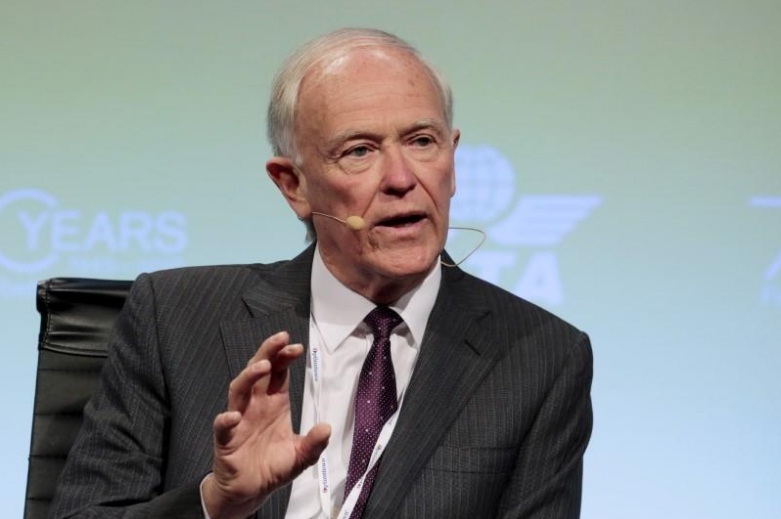 File Photo - Tim Clark, President of Emirates Airlines speaks during a panel discussion at the 2015 International Air Transport Association (IATA) Annual General Meeting (AGM) and World Air Transport Summit in Miami Beach, Florida, June 8, 2015. DUBAI - Emirates, the Middle East’s largest airline, has had a better first half in the current financial year than the same period a year ago when it reported a 75 percent decline in profits. “The six months were a lot better than this time last year,” Emirates airline President Tim Clark told reporters at an aviation security conference in Dubai. The state-owned, Dubai-based carrier is expected to report its results next month for the six months ended Sept. 30. Results a year ago were affected by a strong dollar and tougher competition as it filled a lower percentage of seats on a year-on-year basis. This year, Emirates has had to contend with travel restrictions imposed by the United States which mostly impacted carriers in the Middle East, though have since largely been lifted. The airline cut frequencies on some U.S. flights in a response to those restrictions weakening passenger demand. Clark said demand had fallen by around 15 percent to 18 percent on U.S. flights, though the airline had just had “a very robust summer” there. Emirates, the Middle East’s largest airline, has had a better first half in the current financial year than the same period a year ago when it reported a 75 percent decline in profits.